Loving Muhammad, the Messenger of Allah (peace be upon him) is the religion; and knowing his station (peace be upon him) is the religion! Loving him (peace be upon him) is a PART of the religion, and if you do not have this part you do not have the religion! Shaykh Faid Mohammed Said tells us why. The Messenger of Allah (peace be upon him) said in this hadith that the first of the three is to love Allah Most High and the Messenger of Allah (peace be upon him); he did not say love Allah Most High and then love the Messenger of Allah (peace be upon him)! The Messenger of Allah (peace be upon him) used the word and because loving the Messenger of Allah (peace be upon him) is loving Allah Most High! In another hadith, narrated in Muslim and Bukhari, the Messenger of Allah (peace be upon him) said: None of you believe until he loves me more than himself, his children and his parents. Recalling this hadith, I said to our brother that the companions of the Messenger of Allah (peace be upon him) were not even worried about loving him (peace be upon him) more than themselves! 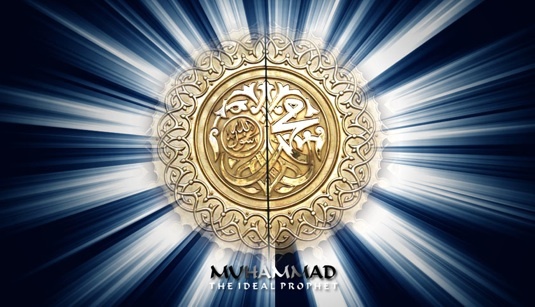 If you think you are trying to compare between Allah Most High and the Messenger of Allah (peace be upon him), and in doing so you say to yourself that you do not want to make them on the same level (to avoid shirk), and hence you think to lower the Messenger of Allah (peace be upon him) slightly to insure the safety of your iman – that is the danger that should cause us to worry! Our love for the Messenger of Allah (peace be upon him) is love for Allah Most High! This confuses some as they are unable to understand Allah Most High, and so they are fearful of relating or mixing – this fear in itself is shirk! The Messenger of Allah (peace be upon him) said in a hadith that we should love Allah Most High for all the blessings He bestows upon us, love the Messenger of Allah (peace be upon him) because Allah Most High loves him, and to love the family of the Messenger of Allah (peace be upon him) because of our love for him! So our love for Messenger of Allah (peace be upon him) is love for Allah Most High! Prophet Ibrahim (peace be upon him) is begging Allah Most High and Allah Most High is giving the Prophet Muhammad (peace be upon him) without him even asking! Prophet Ibrahim (peace be upon him) is begging for purification, and Allah Most High is granting the Prophet Muhammad (peace be upon him) and his family full purification! Prophet Ibrahim (peace be upon him) is going and the Messenger of Allah (peace be upon him) is being taken! Prophet Ibrahim (peace be upon him) is stating the Allah Most High is his Sponsor, whilst Allah Most High is telling us that He is the Sponsor of the Prophet Muhammad (peace be upon him)! Not only did Allah Most High tell us that there will be no disgrace upon the Prophet Muhammad (peace be upon him), but that Allah Most High will also not disgrace the believers because of the Prophet Muhammad (peace be upon him)! Within all these ayat we see the greatness of Prophet Ibrahim (peace be upon him), Khalilullah, the one that Allah Most High chose as a friend, the one described as an entire ummah, the one in whose lineage all the subsequent Prophets reside, but yet we see the greatest station in the Prophet Muhammad (peace be upon him)! Loving the Messenger of Allah (peace be upon him) is faith. If the ummah were to have this love, we would not be where we are now. Do not fear shirk for the one who loves; we should fear for the one who does not love. LOVE IS NOT THE CAUSE OF OUR ISSUES; IT IS THE LACK OF SUCH LOVE! May Allah Most High guide us to iman, and make us worthy of following the Messenger of Allah (peace be upon him). May Allah Most High reward our friend with the best, as he made us cry in the House of Allah Most High! Our encounter reminded us of the great ulema of the past, in that once they had a discussion and they felt the outcome of the discussion in their heart, they would leave whatever stance they were upon. As such, we were humbled to meet this alim, as it reminded us of the great ulema: Imam Shafi (may Allah be pleased with him) held the opinion that you cannot benefit from the skin of a dead animal or the child of a dead animal because Messenger of Allah (peace be upon him) said to not benefit or use anything from a dead animal (narrated by Imam Ahmad). In a discussion that took place between the great scholar Ishaq ibn Rahaway (may Allah be pleased with him) and Imam Shafi (may Allah be pleased with him), the later stated that he believed that one could not benefit from the skin of a dead animal, to which Imam Ishaq (may Allah be pleased with him) said that one can benefit from the skin of a dead animal if it is cleaned properly, as that was mentioned by Messenger of Allah (peace be upon him). Upon hearing this, Imam Shafi (may Allah be pleased with him) left his opinion because of the hadith that was narrated, and coincidentally, Imam Ishaq (may Allah be pleased with him) left his opinion upon hearing the hadith narrated by Imam Shafi (may Allah be pleased with him)! Our brother reminded us of them. Shall I face the Qibla with my back towards the blessed resting place of the Messenger of Allah ﷺ when making du’ā? How could you turn your face away from him ﷺ when he is your means (wasīla) and your father Adam’s means to Allah on the Day of Rising? No, rather you should face him ﷺ and ask for his intercession so that Allah will grant it to you, for Allah said, ‘If they had only, when they were unjust to themselves, come to you and asked Allah’s forgiveness, and the Messenger had asked forgiveness for them, they would have found Allah Oft-Returning, Most Merciful (Q4:64)’. PROPHET MUHAMMAD ﷺ, THE FOCAL POINT OF UNIVERSE AND OUR LIVES! Nor in this world will Tawheed (Oneness of God) shine, Nor your heart beat in you! Too he Aine Noor tera sub gharana Noor ka. 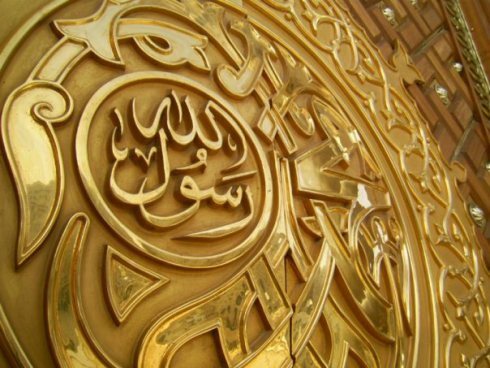 It is a well known fact to the people of knowledge that in the Hadith it has been narrated on numerous occasions about how Hazrat Jibra’eel (Alaihis Salaam) presented himself in the Holy Court of the Holy Prophet Muhammadﷺ  as a human. The Distinguished Sahabi-e-Rasool  Hazrat Jaabir(رضي الله عنه)  respectfully enquired from the Holy Prophetﷺ ,“O Prophet of Al’laah , my parents be sacrificed upon you. What is the first thing which Almighty Al’laah created before everything else? After examining the above mentioned sayings of the Holy Prophet Muhammadﷺ  it is as bright and evident as the sun that the Holy Prophet ﷺ referred to himself as being Noor and he did so in a very clear manner to his Ummah. Those who oppose and contradict the Nooraniyat of the Holy Prophet  are definitely against the Holy Prophet ﷺ . Now let us examine the Aqida (belief) of the Glorious Sahaba-e- Kiraam (Companions of the Prophet ) who are beacons of guidance for the Ummah. “Muhammad Mustafaﷺ  is the Honest and is the One who invites towards righteousness; His Bright Light takes away darkness and destroys it like the radiance of the full Moon.” [Dalail-un-Nabuiwat, Pg.225 Vol.1 – Jawahirul Bihar Pg.96 Vol.1]. 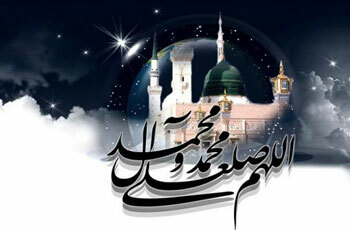 Now, after examining all the narrations quoted by the Sahaba-e- Kiraam, it is very clear and obvious that they accepted the Prophet (salla Al’laahu alaihi wasallam)  to be Noor. In the light of Ahadith of Sayyiduna Rasoolullah (salla Al’laahu alaihi wasallam)  it is clear that the claim of the deviants that they are also part of the Ahle Sunnah Wa Jamaat is only a hoax and a fraudulent act as they do not accept the Prophet (salla Al’laahu alaihi wasallam) as Noor. The proper Ahle Sunnah Wa Jamaat are those who accept the Prophet  as Noor and they are the ones who are known in the world as Sunni. Those who reject the Prophet (salla Al’laahu alaihi wasallam) as being Noor, say that the Holy Prophet (salla Al’laahu alaihi wasallam) had wives, He had children, He used to eat and drink and it is for this reason that He is not Noor (In other words he possessed all human qualities). 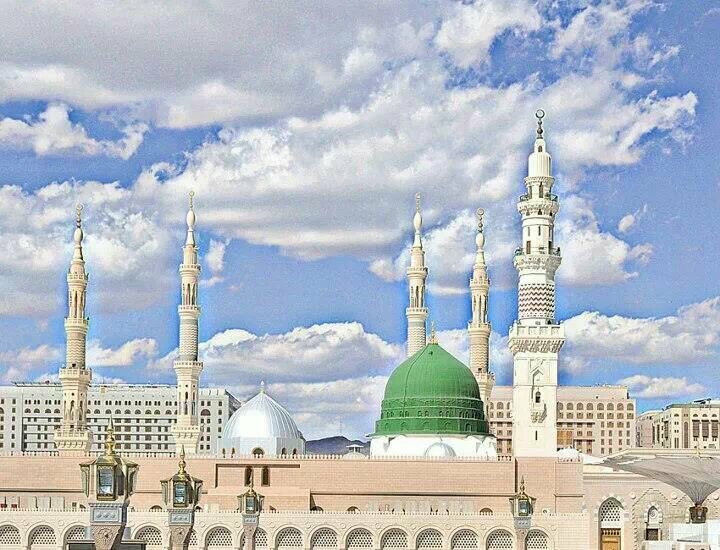 They do not accept our Prophet (salla Al’laahu alaihi wasallam) as Noor since he had wives and children, he (salla Al’laahu alaihi wasallam) ate and drank etc; but the Sahaba (RadiALlahu Anhum) of the Holy Prophet (salla Al’laahu alaihi wasallam) also saw that He had wives, children etc; but still they accepted him to be Noor. After the Holy Prophet ﷺ journeyed into the hereafter, Hazrat Safia (radi Al’laahu anha) said the following stanza due to the sorrow and thought of the passing of The Holy Prophet ﷺ . From this, one may conclude that she also accepted him as Noor (Light). It is obvious from the above mentioned narrations that Hazrat Safia (radi Al’laahu anha) always accepted the Holy Prophet  to be Noor. On the passing of the Prophetﷺ  the third aunt of the Holy Prophet  Sayyida Urwa (radi Al’laahu anha) pointed out what she believed. It is clear that even after knowing and living amongst the blessed wives and beloved children of the Holy Prophet ﷺ and even after observing him eat and drink, the blessed aunts of the Holy Prophetﷺ  still believed that he is Noor (Light) and this was their clear and open belief (aqida). The cousin of the Holy Prophetﷺ,  Hazrat Abdullah ibn Abbas(رضي الله عنه)  says that the Holy Prophet  is Noor. He was always in and out of the house of the Holy Prophet Muhammadﷺ . The uncle of the Holy Prophetﷺ , Hazrat Abbas(رضي الله عنه)  also says that the Holy Prophetﷺ  is Noor. Those nurses who fed the Beloved Prophet ﷺ and saw him eating and drinking, those nurses in whose home the Beloved Prophetﷺ  lived, walked, ate and drank etc; also believed that the Holy Prophetﷺ  is Noor. Those blessed aunts of the Holy Prophetﷺ  who saw his wives, his children, and who saw him eat and drink and who observed the way he lived his life, all believed that he is Noor and not an ordinary human being. Even though she was the respected and blessed wife of the Holy Prophet Muhammadﷺ  she still accepted him ﷺ to be Noor. Clear evidence from the sayings of the Sahaba-e-Kiraam, the Ahle Bait-e-Athaar (radi Al’laahu Anhuma), and from the books of the distinguished Muhaditheen have been presented. 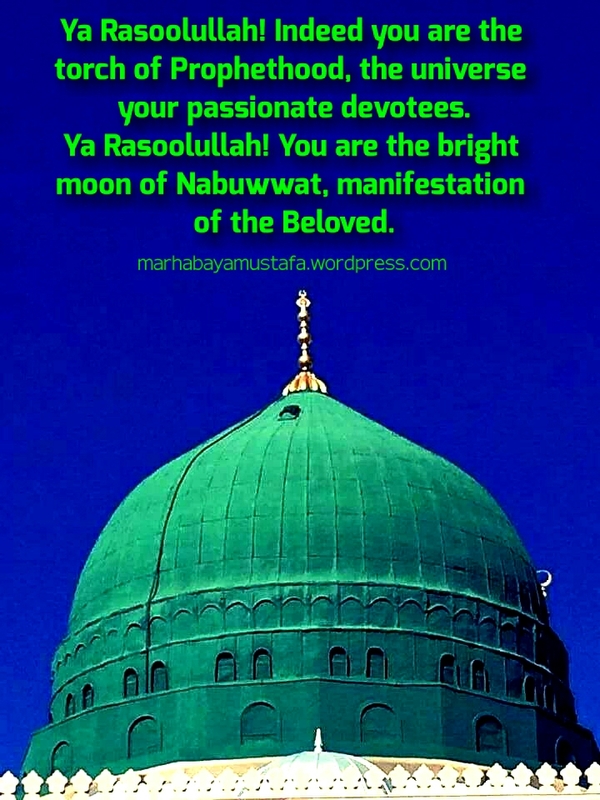 After examining them, it is as clear and obvious as the brightness of day that although they possessed knowledge of the eating, drinking, wives and children of the Holy Prophet Hazrat Muhammadﷺ  they all still believed without any doubt that he is Noor.